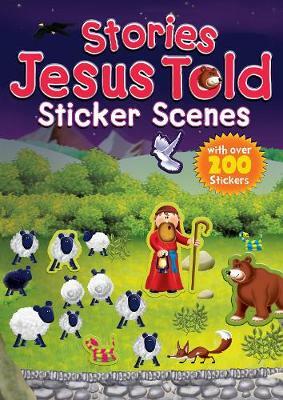 Illustrate your own Bible stories with this fantastic sticker scene book. Fill in the empty backgrounds with lots of fun characters, animals and scenery to help tell the story. The artwork is detailed and vibrant and the scenes can be as simple or complicated as you like so will keep children of all ages entertained for hours.